Kathmandu, March 13: The Bibeksheel Sajha Party has decided not to take part in the elections of a new President and Vice President. In a press statement today, Bibeksheel's State Assembly parliamentary party province 3 leader Ramesh Poudyal shared the information about this. The party has three members elected under the proportional representation system in Province 3's State Assembly. Earlier, the party handed the rights to take a decision on the matter to the province-level leadership which met Monday, deciding not take part in the both elections. 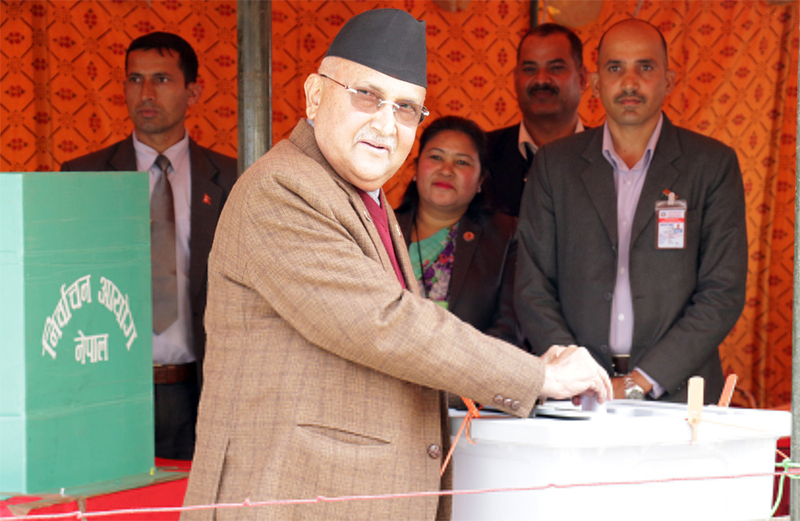 "The Bibeksheel Sajha is in favour of a directly elected prime minister and a constitutional president. In the parliamentary practice, the role of constitutional president should be neutral, impartial and above the partisan interests. But, some of the decisions had crossed the jurisdictions," the statement reads.